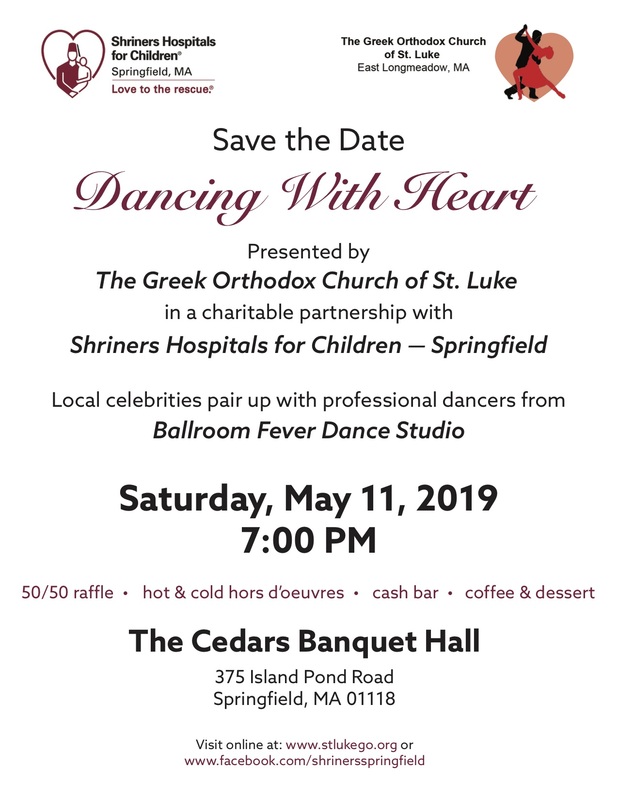 On behalf of all the children who are lovingly cared for by Shriners Hospitals for Children in Springfield, our sincere thanks to you and your Dancing with Heart committee, for organizing and providing a wonderful community event . 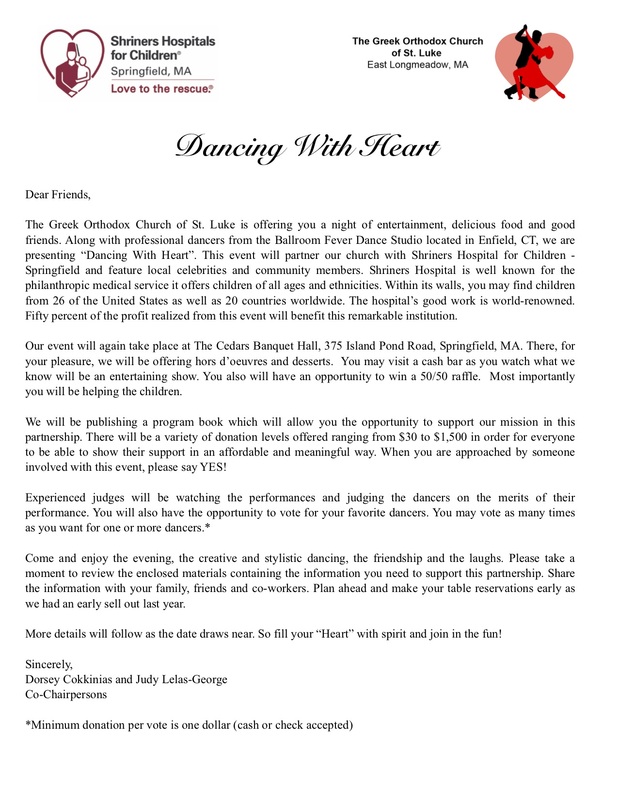 We appreciate your thoughtfulness in choosing Shriners Hospital as the recipient of your good will and cheer. This tremendous donation to the hospital will help brighten the days of the children who need our specialty services and bring us closer to the campaign goal for the new Inpatient Acute Rehabilitation unit. As a nonprofit organization, Shriners Hospitals relies on donations like yours to carry out our mission and transform the lives of children every day. This picture showcases an indelible mark of compassion and caring you have displayed which ultimately makes our community a better place. 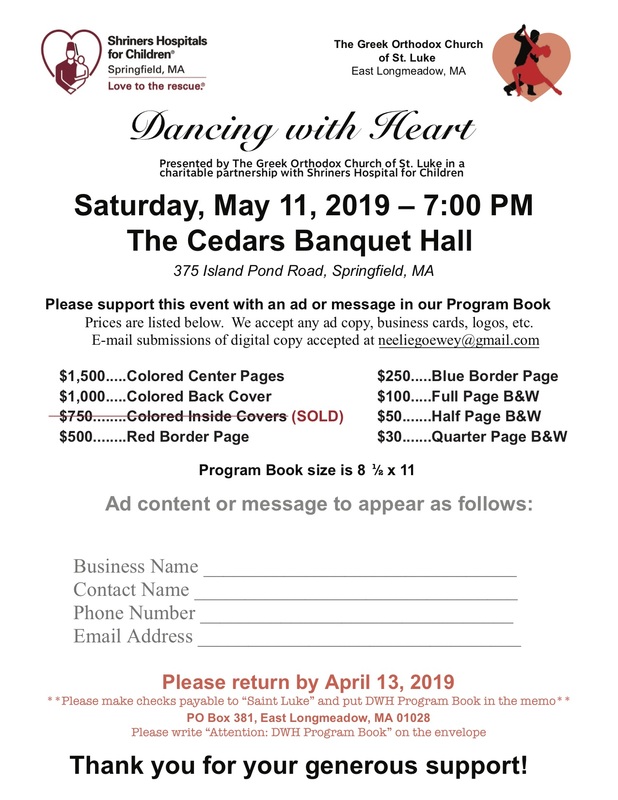 It is our hope you will display it proudly and raise awareness about Shriners Hospitals for Children-Springfield.